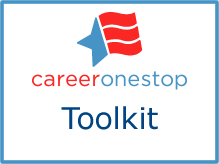 CareerOneStop announces ReEntry.CareerOneStop.org, an online, secure version of all CareerOneStop website content and tools, with all external links disabled. The purpose of ReEntry.CareerOneStop is to provide correctional institutions and other secure facilities with access to CareerOneStop’s full range of career, training, and job search resources. Explore Careers: tools and resources on job skills, soft skills, career exploration, and setting career goals. Get Training: resources on training options from high-school equivalency to apprenticeships, certifications, college degrees, and more. Find a Job: tools and resources to help write a resume, find and apply for job openings, and discuss a criminal record during a job interview. The newly launched ReEntry.CareerOneStop.org/ExOffender now provides the same Job Search Help for Ex-Offender resources to individuals inside secure correctional facilities. Inmates, instructors and other intermediaries can access the full range of tools, resources and information—without the risk of active internet links. Additional resources for those who work with incarcerated individuals are available in .PDF formats (find both at Job Search Help for Ex-Offenders; if you’re unable to print, email info@careeronestop.org for a copy). The Job Search Guide for People with a Criminal Record is a 43-page PDF document that includes all Job Search Help for Ex-Offenders content. Ex-Offender Local Resources is a 132-page .PDF document with names, locations, contact information, and descriptions of hundreds of local organizations in all 50 states that provide targeted employment and job search assistance to people with criminal records.